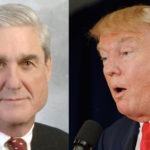 For as long as Special Counsel Robert Mueller was investigating Donald Trump, we pointed out that Mueller surely didn’t come out of retirement and go to the trouble of spending two years investigating an illegitimate criminal president, just to hand in a book report and go home. Yet, when Mueller first turned in his report, it appeared that was precisely what he had done. In the two weeks since, a few things have become clear. For instance, Robert Mueller obviously found a metric ton of criminal dirt on Donald Trump. We know this because of what Trump and his associates have directly confessed to, what the media has dug up, and what Mueller’s team told us this week. Also, Robert Mueller clearly wasn’t done with his investigation when he abruptly turned in his report and disbanded his team. We’re now seeing U.S. Attorneys pick up various threads of the Mueller probe, from the inevitable superseding indictment against Roger Stone, to the grand jury proceedings involving the foreign government owned mystery company. The question is whether Mueller quit voluntarily. Let’s say that Mueller reached a point in his investigation of Donald Trump where he decided it was time to inform Congress and the public about their criminal president. In such case he might have expected to be fired as soon as he turned in his damning report about Trump, so he quit and handed everything off to people who would be harder to fire. On the other hand, if William Barr came in and told Mueller that he had to immediately end his investigation, Mueller might have simply stuffed everything he could about Trump into his report. In such case, Mueller would have surely known that Barr was playing games, so Mueller would have needed a gameplan to make sure that his report did indeed end up becoming public. We still don’t know what that gameplan is. But again, Mueller surely has one, and it’s got to consist of more than merely hoping House Democrats win their subpoena battle over Barr sooner as opposed to later. There’s one big thing to watch. Robert Mueller is still technically employed as Special Counsel. On Friday, Mueller’s office announced that his employment will officially be off the job within a few days. Once Mueller is no longer working for the DOJ, he should immediately have more freedom to get his message out there. Mueller follows the rules, but when you look at his past history of prosecutions, he usually goes with the most aggressive possible interpretation of the rules. Throughout his investigation, Robert Mueller has allowed his court filings and indictments to speak for themselves. It now appears that he wants his four hundred page tome of dirt on Donald Trump to speak for speak for itself as well. For the moment, the Trump regime is preventing that from happening. We’ll soon see what Mueller plans to do in order to make sure he’s heard. Mueller can’t simply leak his own report; the law doesn’t work that way. But Mueller is surely smart enough to find a way to get the gist of his report out there, even as House Democrats engage in the legal battle to expose the entire thing.